Oil Paintings with an unconditional No-Risk Guarantee! and 'Old Masters' beautifully recreated"
Did you know that you can order your own exclusive, unique, hand-painted oil painting for your home or office, probably for a lot less than you think? 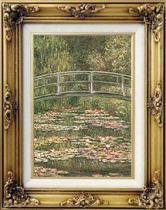 Oil paintings are prize possessions that make truly special gifts for friends, family or business colleagues. Simply choose your favourite artist and painting, or perhaps a photograph from your family album and we will do the rest. Why not capture that special occasion forever on canvas by supplying us with a photograph and leave the rest to us? ..about our works-of-art by clicking here. We work with a team of very experienced, specialised artists to provide an extensive selection of the finest quality reproductions of works by famous artists, beautifully recreated on fine quality European linen canvas. You can choose from numerous different 'Old Master' artists or any specific subject that you require, including your own photographs. A range of sizes are available to suit different requirements and budgets. ..if you are not delighted with the result of your order, we will refund the cost in full! To order a painting from a photograph or ask a question that isn't answered on our 'Frequently Asked Questions' page here, go straight to our 'Order / Request Form' by clicking here. 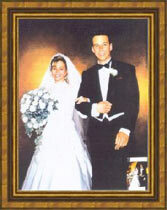 To learn more about our exclusive 'Paintings from Photographs' specialised service, click here. To visit our 'Online Gallery' of Old Master reproductions, click here.